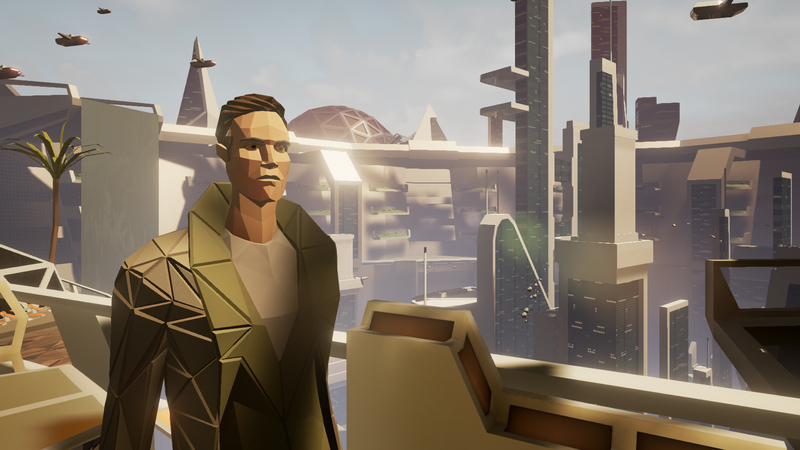 The best part of my State of Mind demo was talking to Martin Ganteföhr, the game's director. He single-handedly convinced me that State of Mind needed to exist -- not because the game was any good (it isn't). Rather, Ganteföhr has a lot of ideas about transhumanism that he's itching to release like the Thirteen Ghosts of Scooby-Doo, and I'm excited to hear them whenever possible. It's a shame those ideas seem to be confined to State of Mind, a game I almost fell asleep playing. 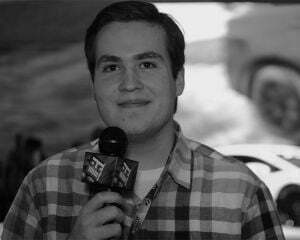 During my demo, I was standing up, surrounded by the bustle of PAX's sixth floor, and I felt my eyelids getting heavy. I've been doing game previews on little-to-no sleep for three consecutive years, and I've never been in that position. I was receiving so little stimulation that my brain decided to shut off until something exciting happened. At this point, State of Mind is the very definition of the word tepid. I'm concerned players won't be able to stay conscious long enough to experience Ganteföhr's ideas for themselves. Or maybe they will, if sleepwalking extends to video games. That sounds both harsh and contradictory -- if Ganteföhr is such an interesting guy, why is the game he directed so mind-numbing? Here's the thing: I don't think the two are mutually exclusive, and most of what Ganteföhr discussed was not reflected in the demo I played. 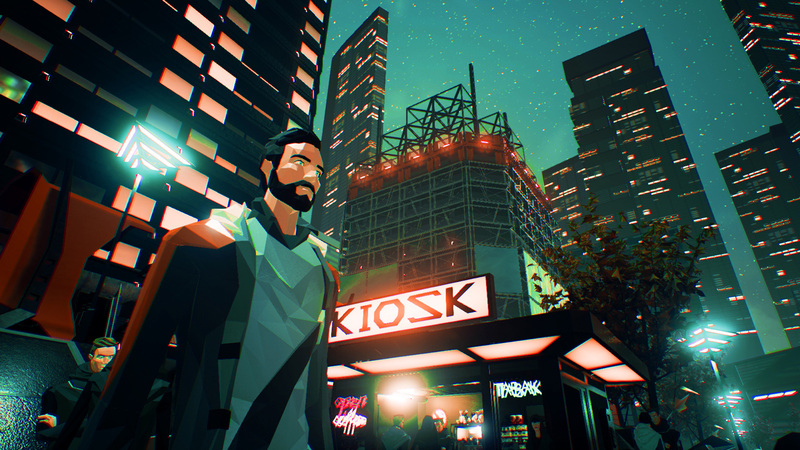 State of Mind is an adventure game set in a Deus Ex-esque cyberpunk dystopian Berlin, where players control both Richard, a journalist covering the wild world of robots, and Adam, a part of Richard's consciousness uploaded to a utopian virtual reality. My demo consisted of fumbling around Richard's apartment until I decided I was done fumbling around Richard's apartment. His family is missing, he's been in a terrible accident, and for some reason his voice doesn't work. That last one is not an in-game plot point -- State of Mind has not fully implemented voice acting. If the line delivery is perfect (we're talking Season One of Telltale's The Walking Dead-level), that might be the push State of Mind needs to get players through its tedious opening moments. Nobody seems to know where Richard's family went. I got that pretty early on. I didn't need conversation after conversation hammering that point home. 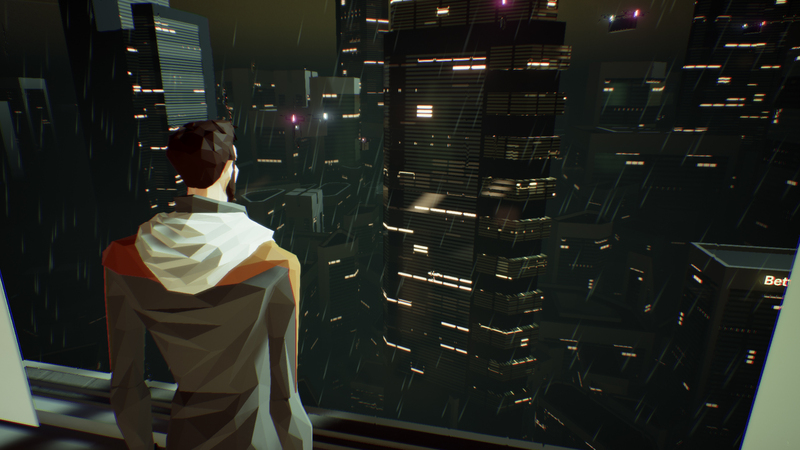 According to Ganteföhr, the game will focus on Richard trying to convince Adam that Adam's world isn't real, and that he needs to get back in his head. Right away, my nose sniffed out a twist. "At the end, is Richard going to turn out to be the fake one?" I asked, throwing out any pretense. "There is a twist, but it's not that," Ganteföhr said. "It's not an explicit twist in the story." Already, this is a positive. My all-time least favorite twist is one that reframes an entire story as "just a dream" or "in a coma" or "not real in any way." It's why I hate so many fan theories with a passion; it's the kind of twist that exists for the sole purpose of screwing over the audience. Ganteföhr gave the impression of a man who is working through his own thoughts about transhumanism through video games. "Tech can be dystopian and utopian. I don't necessarily agree with the pro-transhuman people that we don't need to have a discussion," he said. According to Ganteföhr, State of Mind was inspired by the works of futurist Ray Kurzweil. For the unfamiliar, Kurzweil has written extensively about the concept of the singularity -- the idea that all of human consciousness and technology will one day meld together. He's basically playing the longest Deus Ex ARG that only he seems to be aware of. I'm simplifying things (partially because I'm no expert, even after literally taking a class on the subject), but you can see where Ganteföhr finds his inspiration, right? Over the course of my appointment, we spoke about immortality, and whether or not humanity even deserves to see the singularity. Ganteföhr was throwing out ideas faster than I could take notes. He's got some good points, too: are we supposed to die, or did we leave behind the concept of natural life the second Bill Gates flipped on his first PC? My hope is that State of Mind will eventually get to exploring Kurzweil's ideas in a way that doesn't feel like it was directly cribbed from The Matrix. You can probably see how it would go. Richard: "Your world's not real, Adam! Get back in my cranium." Adam: "What's even real, man?" Even if State of Mind is boring and predictable the whole way through, it's hard to deny Ganteföhr's passion for this project. That's not even me speculating; that's more or less a direct quote. "I can only do stuff that actually interests me," he said. "It's the only way I can move forward." I can respect that; I'm always happy when a video game comes from a genuine place of inspiration. I want State of Mind to be good. Not just because somebody on this accursed website is going to have to review it, nor because I want all video games to be good. There's more to it than that -- for one, it's got a neat art style, one that even ties into multiple aspects of the game. Richard is a man putting himself back together and players have to assemble the story from "shards," so of course the game looks like it was dropped and then glued back together. I want that kind of attention to detail to be rewarded. I want to be able to put my money where my mouth constantly is and enjoy a game that looks almost exclusively made of flavor text. I love flavor text! I just wish this flavor text was exciting, or the plot moved at a decent pace, or you didn't have to fumble around in a boring cyberpunk apartment. Show floor demos are important. They are your very first impression; you're not just pulling someone off the floor, you're also selling them on a game that won't come out until early next year. If this is the selling point for State of Mind, the vertical slice that is designed to make me run back to my laptop and breathlessly praise the game I've already pre-ordered twice, we should be very worried about State of Mind. I can only hope the final game is as compelling as its director, but I'm not sure my optimism is well-founded.